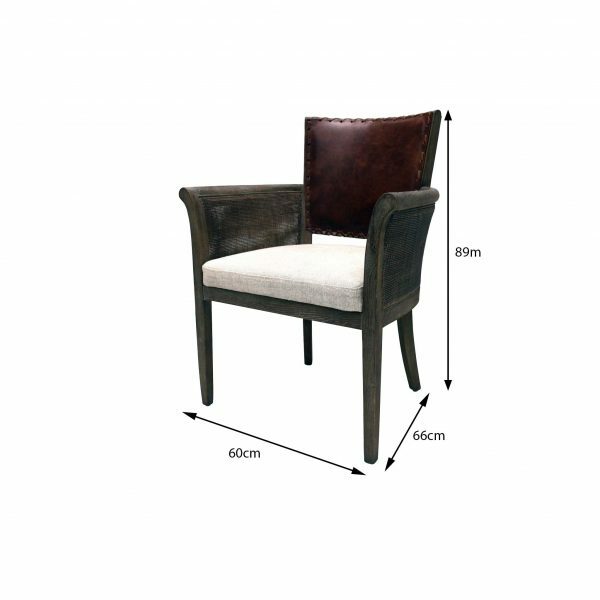 The burgundy-theme of the oak when added with the leather-like appearance of the chair combine to create a rich and organic feel to the furniture. Available for individual purchase. 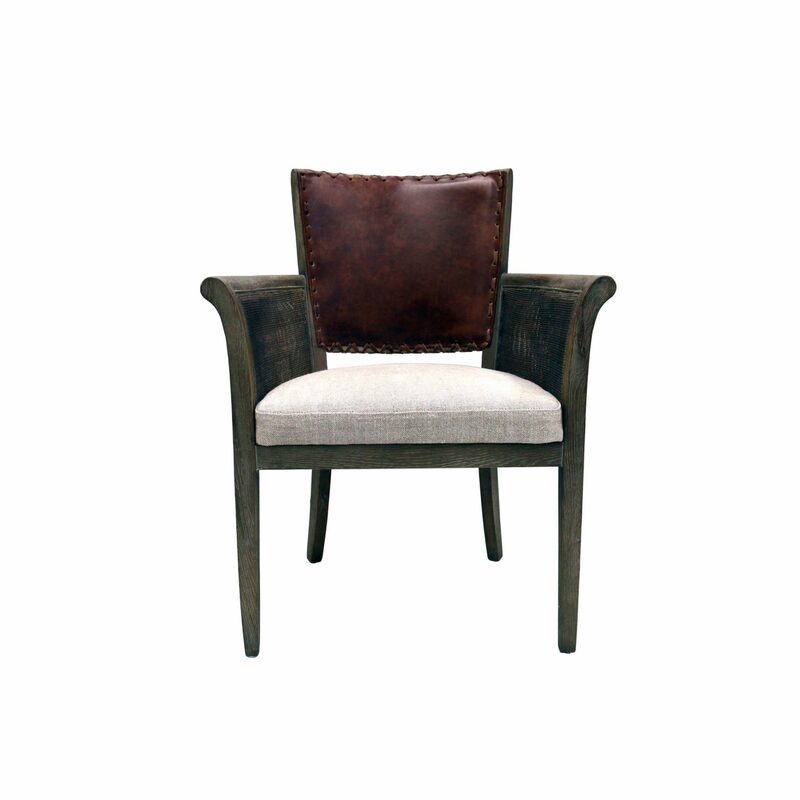 Are you looking for a super plush and highly durable feature armchair? Check out this feature chair constructed from 100 % linen upholstered over solid oak timber, and finished with a classic leather backrest. 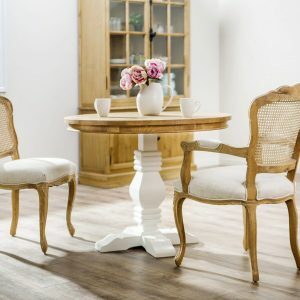 Its traditional burgundy aesthetic makes it a great accessory that will fit in just about any social setting and find its home in just about any place in your entire house. 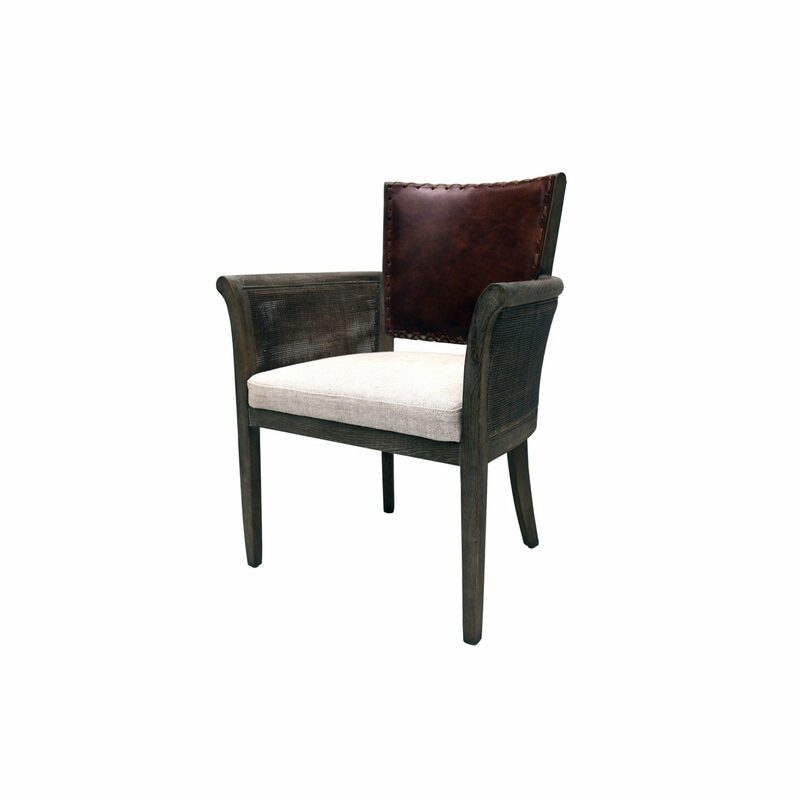 This elegant feature armchair has been constructed from solid oak timber, 100 percent pure linen seat and arm-rests, and finishes off with a leather back. Linen is one of the toughest, most climate-resistant fabric out there, in addition to being microbial-free and abrasion-free. 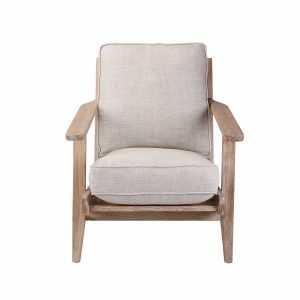 The overall durability of this chair is only enhanced when linen’s features are complemented by the natural sturdiness of solid oak timber that forms the support of this chair. Oak is not just strong and durable, but also very receptive to varnish which essentially means you can keep changing its appearance from time to time in order to make it appear more refined and polished or simply brand new. The burgundy-theme of the oak when added with the leather-like appearance of the chair combine to create a rich and organic feel to the furniture, creating a sense of outdoors in an environment in which we are increasingly detached from natural stimuli. 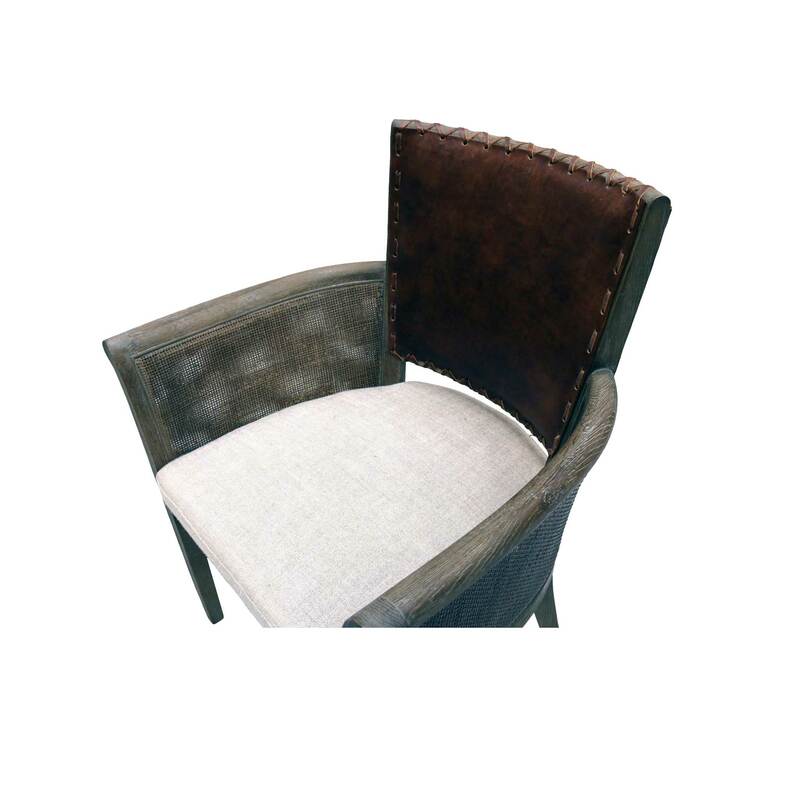 You can use this feature armchair as a sitting space in your bedroom, a cozy space near the fire in the living room, or simply as one of the many chairs of your dining space. 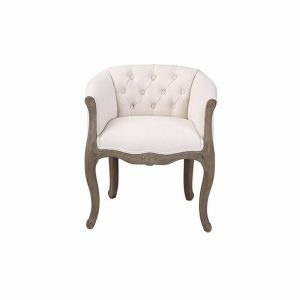 Its sleek, traditional and stylish look makes it the perfect placement in just about any area of your house. When it comes to versatility, durability, flexibility and an elegant design, this oak timber constructed feature armchair has it all.